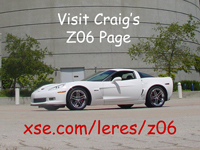 Here is a list of hacks I've done to my Z06. Many involve OEM parts. I'm not really big on putting decals or bumper stickers on my vehicles but I like displaying the US flag. I got this aluminum flag from ebay. GM Weatherstrip Lubricant (GM 3634770, also known as Krytox) is a silicone-free grease used for dressing weatherstriping. It works great but is expensive. It's listed in TSB (#99-08-64-016A) as being one of the two products that should be periodically applied to weatherstrip surfaces. A cheaper option is dielectric silicone grease (GM 12345579 or equivalent).